Dr. McNabb founded East Hills Animal Clinic in February 1990. 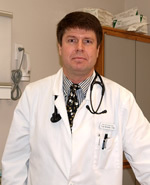 He is from Albany, Oregon and graduated from Oregon State University in 1986 with his doctorate in Veterinary Medicine. Dr. McNabb is married and has two children ages 24 and 20. He and his family currently have a diabetic cat named Angel. Dr. McNabb enjoys the field of veterinary medicine and helping people and their pets. When not at work Dr. McNabb is very active in the alpine ski racing community as a USSA level 3 timer, a level 1 referee and OISRA commissioner. 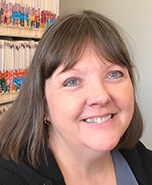 Dr. McNabb was the 2013-2014 OVMA president and member of the American Veterinary Medical Association, Oregon Veterinary Medical Association and Portland Veterinary medial Association. Dr. Lora Geisler earned her undergraduate degree at Oregon State University with a major in Zoology. She graduated from Oregon State University College of Veterinary Medicine and Washington State University College of Veterinary Medicine in 1998. 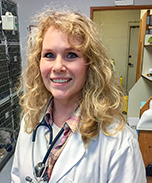 Dr. Geisler enjoys working with companion animals and loves the variety that small animal veterinary practice offers. She also enjoys surgery, parasitology and dermatology. After 13 years in private practice, Dr. Geisler transitioned to a career in shelter medicine where she improved the quality of care for the shelter dogs through herd and individual health, trained staff to become certified euthanasia technicians and wrote articles for the Dog Notes section of Clackamas County’s quarterly newsletter, Citizen’s News. Seven years later she joined the team at East Hill Animal Clinic with Dr. McNabb as an associate veterinarian. Dr. Geisler is passionate about animal health and safety and is devoted to ensuring both through public education and community involvement. She is committed to fostering the human-animal bond and pays special attention to end-of-life needs. In her spare time, she raises Single Comb and Rose Comb Leghorns and has recently added six Rhode Island Red chicks to her flock. Her current pets include a pair of budgies. In addition to veterinary medicine, her interests include competitive ballroom dancing in the Waltz, Tango, Foxtrot and Viennese Waltz and creating unique hand-made jewelry using semi-precious stones, freshwater pearls and wire. Dr. Geisler is a member of the American Veterinary Medical Association, the Oregon Veterinary Medical Association, and the American Poultry Association. 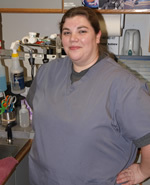 Karen has been at East Hills Animal Clinic for over ten years. She grew up in Milwaukie, Oregon then moved to Vancouver Island in 1976. She moved back to Oregon eleven years ago. She lives in the Portland area with her husband and they have two grown sons. Karen enjoys meeting and greeting pets and clients. She chose to work in the veterinary field because she has always had a love of all animals and enjoys being able to help and care for them. In her free time, Karen enjoys cooking, canning, gardening, hiking and being outside as much as possible. Michelle has been working in the veterinary field since 1995. She received her veterinary technician certification in 2001. Originally from Auckland, New Zealand, she resides in the Portland area with her daughter, Sofia, one dog, Kuri, and one cat, Patron. Teeth cleaning is one of her specialties and is one of her favorite aspects of her job. She also has an interest in animal behavior. Michelle loves animals and medicine, making the veterinary field a perfect fit for her. In her spare time, Michelle enjoys reading and scrapbooking. 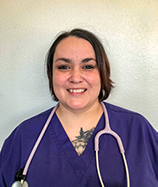 Crystal is a new transplant to the Portland area and currently enrolled in the Penn Foster veterinary technician program. Crystal is a proud mom of three young men and has two dogs named Capone and Chico. She loves to volunteer in community programs involving animals and people. Ronda grew up in Gresham and resides in the Portland area with her two dogs. She has three grown children and enjoys exercising in her free time. 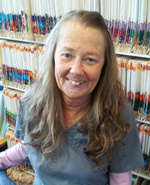 Ronda enjoys working at East Hills Animal Clinic and likes the down home friendly environment. 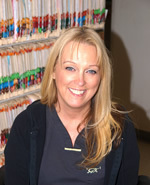 Donna has been in the veterinary field since 1994 and with East Hills Animal Clinic since 2013. She grew up on a dairy farm and has always been interested in animal care. She enjoys rehabbing wildlife and has successfully released squirrels, raccoons, opossums and birds. Donna's hobbies include reading, watching documentaries and sci-fi shows with her boyfriend. She has 2 parrots, Coco an African Grey and Ruby an African Red Belly. © 2019 East Hills Animal Clinic | Built by Zenith Exhibits,Inc.